The following is a press release from American Paper & Twine Co., released November 10, 2014. 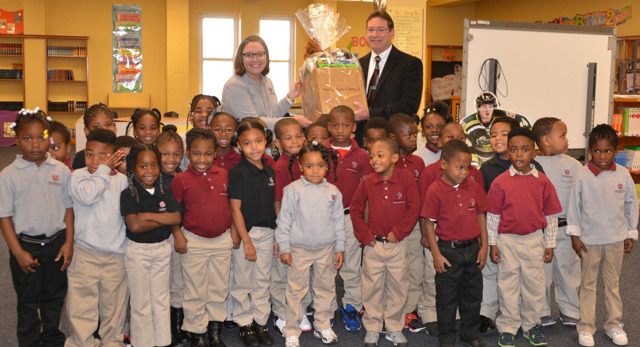 American Paper & Twine Co., Titans Radio and Georgia-Pacific Communication Papers announced Calli Rollins, a kindergarten teacher from Cornerstone Preparatory School in Memphis, Tennessee, was selected as Teacher of the Week, for week eleven of the Tennessee Titans 2014 football season. 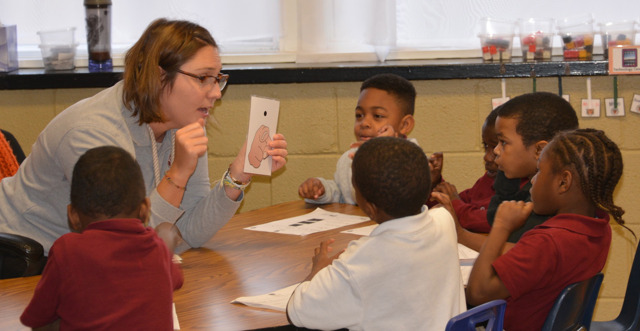 Each week during the Titans’ season, submissions are reviewed to find exceptional teachers. The winning teachers receive a $400 gift basket full of supplies for their classroom and two tickets to see a Tennessee Titans home game. A new winner is announced every Tennessee Titans game and at the end of the season a ‘Teacher of the Year’ is selected from the Teacher of the Week winners. This deserving teacher will receive an award, a gift basket of school supplies (worth approx. $800) and tickets to the December 28th game vs. the Indianapolis Colts. To nominate a teacher you would like to honor, visit www.ShopAPT.com/Teacher, and tell us why your favorite teacher deserves to be recognized. There is no limit to the number of entries a teacher can receive, so encourage your family and friends to submit an entry. About American Paper & Twine Co.
American Paper & Twine Co. was founded in 1926 and is a leading distributor in several business sectors including: janitorial, packaging, disposable food service and office products. American Paper & Twine Co. has nearly 300 employees and operates six (6) full-service distribution centers throughout the Southeast: Nashville, Memphis, Chattanooga, Knoxville, Little Rock and Atlanta. American Paper & Twine Co. is also the Official Supplier of the Tennessee Titans.